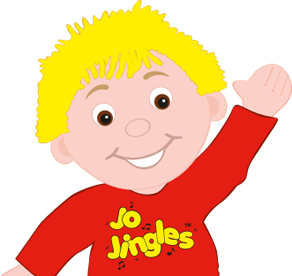 I have been running Jo Jingles in Guildford and Godalming since January 2016. 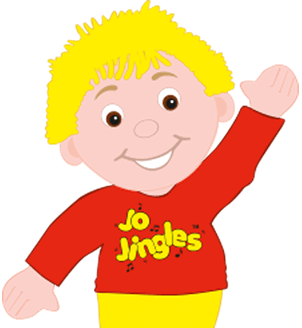 Having previously worked in sales and marketing for the BBC in the inflight entertainment division, I decided to use my experience in media and entertainment to start Jo Jingles in this area. I am a local mum with two daughters, both of whom are involved in music, drama and dance and I have chaperoned at many musicals, pantomimes and dance shows. 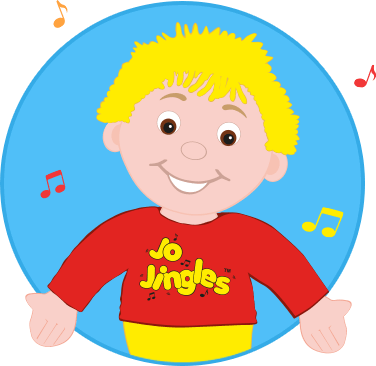 Jo Jingles is a fantastic way to introduce young children to music. 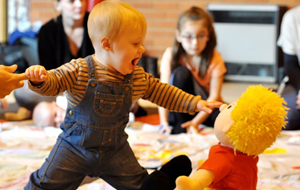 There are so many developmental activities that your child will take part in, in classes. 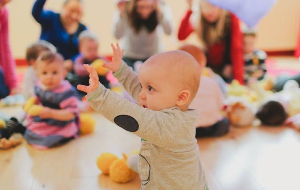 As well as learning rhythm and rhyme through singing and playing instruments, your child will develop literacy and numeracy skills through music, not to mention social skills such as communication, concentration and best of all, you will see them grow in confidence! The classes are structured but the emphasis is on having fun! I love what I do and would love to share with you the benefits of bringing your child to regular Jo Jingles classes! My 6 month old daughter absolutely loves this class and so do I. I’ve always taken her to different groups and this is by far the best one. Jo & Wendy have brought music and laughter to Ladybird Nursery, introducing new songs, new instruments and fun to our twice weekly sessions. Jo & Wendy have brought music and laughter to Ladybird Nursery, introducing new songs, new instruments and fun to our twice weekly sessions. All the children get involved from our babies and toddlers to all our pre-schoolers. The sessions are well planned and organised and Wendy will even try to match up with our topics. We have seen shy children come out their shell and fidgets focus and join in. Ladybird loves Jo Jingles & Wendy.